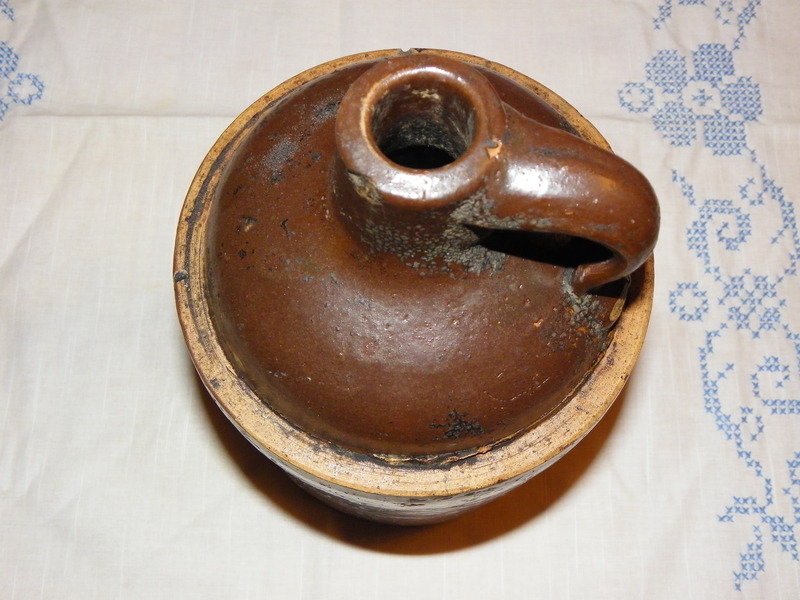 "Funnel top" Jugs like this tend to be generic mid to late 19th century examples, they were made all over the Eastern United states, many of them carry no markings at all to identify a maker. 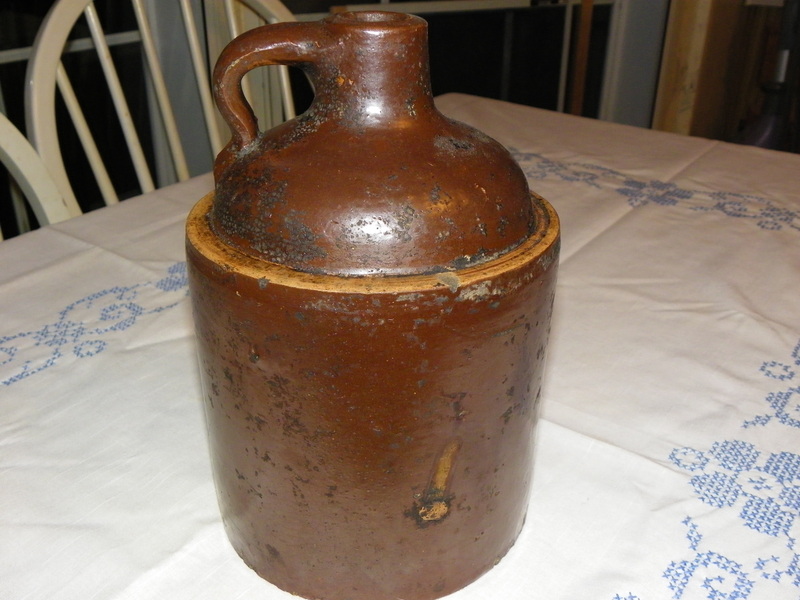 These days comparable jugs often sell for less than $100.00. My husband and I have one very much like this one. His mama used it as a door stop. We were offered &20.00 and of course, turned it down. My husband is an antique bottle collector and dug the bottles he has himself.